The control valve is a very useful control element. It is in fact the final control element in any control loop that must regulate fluid. The purpose of the control valve is to provide the means of adjusting or actuation of a control strategy for a given process operation. Typically the control valve is required to behave as a means of adjusting flow or pressure conditions in a process plant or in an item of plant equipment such as a compressor. To understand the control valve loop, let us look at the basic elements in the control loop of the valve. (a) A sensor or measurement device to measure either pressure or flow as the case maybe. 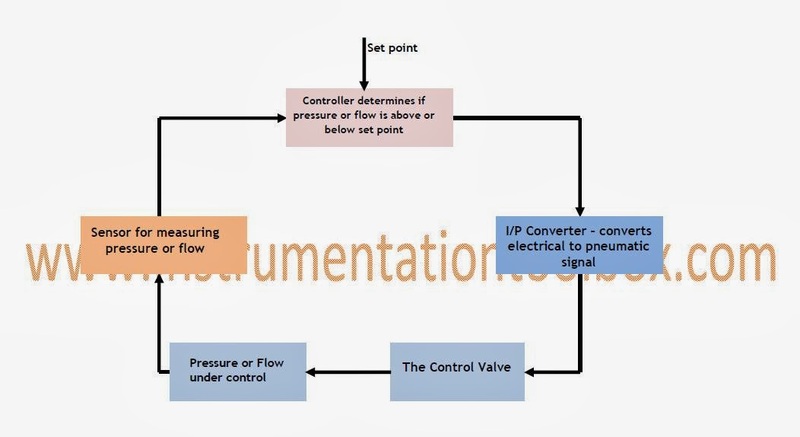 (c) An I/P transducer or converter that converts the electrical signal from the controller into a pneumatic signal that acts on the control valve. This becomes necessary for controllers that output electrical signals. With a pneumatic controller however, an I/P converter is not needed. (4) An I/P converter that converts the electrical signal from the controller into a pneumatic signal that then actuates the control valve. (5) The control valve(FCV) that either opens or close based on the signal from the controller to either open or close to increase or decrease flow. The diagram below shows a typical flow control loop. Flow Control Loop with Control Valve. 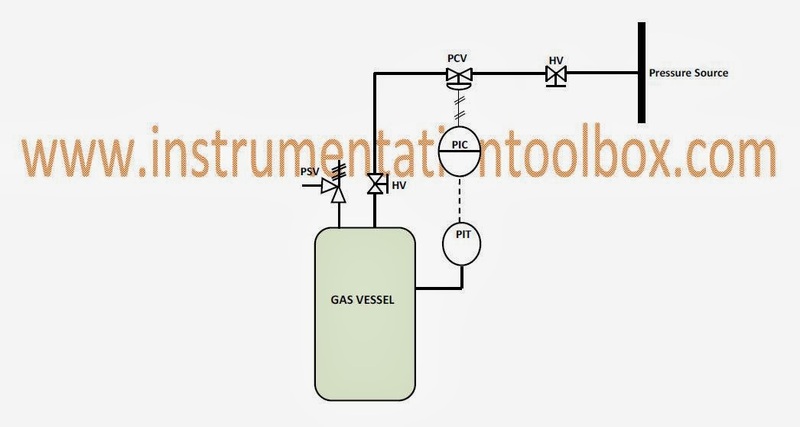 (1) A pressure indicator and transmitter (PT) to measure pressure of a gas vessel. (3) The control valve (PCV) that either opens or close based on the signal from the controller to either lower or raise pressure. The diagram below shows a pressure control loop. Pressure Control Loop with Control Valve.